ï»¿ Sledging? Is it ever ok? Custom Bats Cricket Forum » General Cricket » World Cricket » Sledging? Is it ever ok? Sledging? Is it ever ok? When playing I personally find the funny sledging much more distracting than abuse! What does everybody be else think? Re: Sledging? Is it ever ok? We're too busy taking the piss out of each other to bother with the opposition! To many these days use it as an excuse for abuse personally think sledging should be kept to the cresta run. Personally like a clever sledge but not the outright abuse or persistent bs. I'd sledge you anyday Alex. Every game now (even some Sunday’s) is just vile abuse aimed at or about the batsmen.. for me, because its so rare it’s anytning but pointless drivel I don’t think there is a place. It doesn’t help the game and puts people off. I hate sledging myself. My team doesn’t sledge anyone but other team players are always sledging. It is very annoying because it disturbs my concentration. They should ban it! Isn't that the whole point, to break concentration? I think it's part and parcel of the game to a point. In fact I've always seen it as a skill to master when batting in terms of concentrating regardless of what's being said. As long as its not personal or overly abusive then it's actually enjoyable. Heard some very funny sledges over the years, many directed at me! Bit of on-field banter is always ok, trying to make each other or the batsman laugh or just chat is an enjoyable part of the game when it's good-natured, which it mostly is in amateur cricket thankfully. Sledging, ie abusing someone you happen to be playing cricket against, isn't on, and to most that's obvious! I don't say anything to an opponent I wouldn't say to a teammate or friend as banter. That's all you need if you want to get under someone's skin or break them out of their comfort zone. No need for swearing, aggression or any of that rubbish. If you start effing and blinding at an opponent or letting them know how scary you are and you're going to knock his/her block off, they don't get intimidated. They just think you're a bloody plonker. I personally don't sledge anyone in the field. I just like to enjoy the game and have a good time. People can sledge me, trying to unnerve and put me off, I think that's fine. However it should never cross the line. I do think that line is when it's gets personal and there is no need for that. We're a here to enjoy the game we love. Don't think iv'e been in a single game where something hasn't been said to somebody. 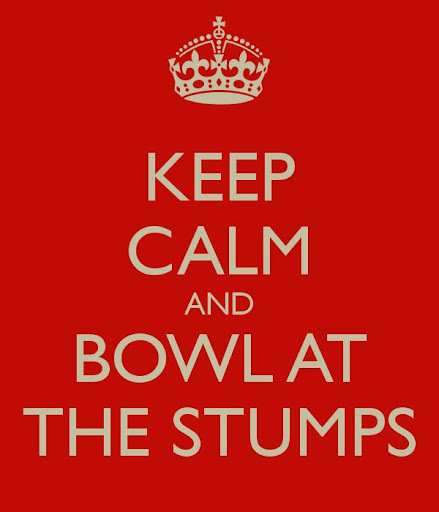 @Simmy is that because you love a chirp from behind the stumps though? in all honestly mate i rarely never say anything keeping. Page created in 0.648 seconds with 43 queries.